"DP Ruto is a conman and a liar on our compensation, we will not vote for him," Says Mau IDPS. - Bana Kenya News, Real African Network Tubanane. Home featured News "DP Ruto is a conman and a liar on our compensation, we will not vote for him," Says Mau IDPS. "DP Ruto is a conman and a liar on our compensation, we will not vote for him," Says Mau IDPS. More than 2,500 IDPS from Mau Forest have threatened to vote out President Uhuru Kenyatta, saying they were left out of the resettlement process. The Mau people have blamed the government for neglecting despite voting for them in last elections. 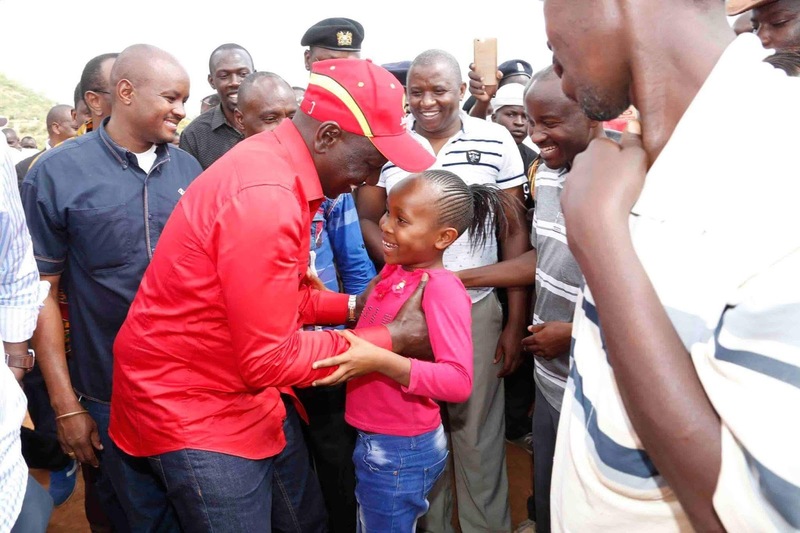 This comes after another group of IDPS in Nandi alleged that the DP William Ruto has sidelined them in compensation because he knows they will vote for any and concentrated in other areas like in Kisii. Their chairman Robert Mutai claimed the Jubilee government promised to compensate them in 2013 but this has not been done. “Ruto has been laying the blame of forceful eviction on NASA leader Raila Odinga but we have proven he is worse than Raila,” Mutai told journalists in Nakuru town on Tuesday. Mutai said families living in Kipkongor, Kurpanyat, Kipkoris, Kipkongor, Saina and Kiletien camps lost their property when they were forcefully evicted by Kenya Forest Officers. Officers burned their houses, they said, adding many are poor while others have suffered diseases that have claimed several lives. “It is unfortunate that we have lost children, old people, and pregnant women to cold-related diseases for almost a decade yet the government ignores us saying we are not genuine,” said the chairman. Mutai added that Ruto, who hails from the region, remains quiet while President Uhuru dishes out money countrywide. “He used to be a sweet talker but we are dying under his watch. He has ensured all Jubilee leaders from the region don’t talk about us. We have proof that he punishes those who dare to mention IDPs," he said. “We will not vote them. It is better for us to vote for Raila so we can come to a bargain with the help of Bomet Governor Isaac Rutto." The residents Mau were evicted during the Kibaki government and others were on the Post-election violence occurred in 2007. The people of Nandi and Mau vowed to vote for the opposition as the government has slept on its work of compensating them.